In the Zoology, Charles Darwin described the specimens he collected and sent back to England during the Beagle voyage. 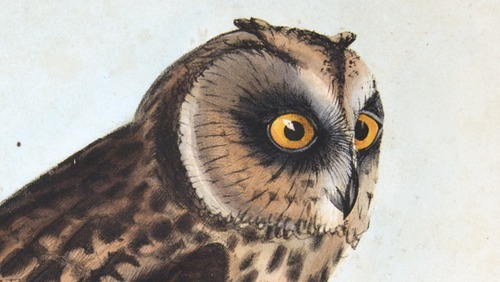 The Zoology is the rarest of all Darwin’s works, issued in 19 separate parts from 1838 to 1843, with half of its 180 lithographs colored by hand. The OU copy is bound in three volumes; no page or plate is missing. Although Darwin edited and superintended the work, he was a young man and not well known to the British scientific scene, so he enlisted five elite and well-respected naturalists to collaborate with him. In Part 1, Richard Owen assisted in describing South American fossil mammals. Detailed engravings include a fold-out actual-size depiction of the skull of the prehistoric Toxodon mammal. George Waterhouse assisted with living mammal specimens in Part 2. 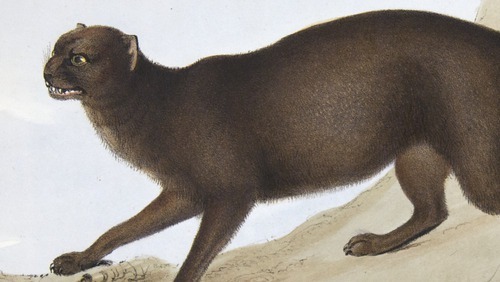 South American foxes, wild cats and aquatic mammals are portrayed alongside various species of field mice and larger rodents. Part 3 is devoted to birds. 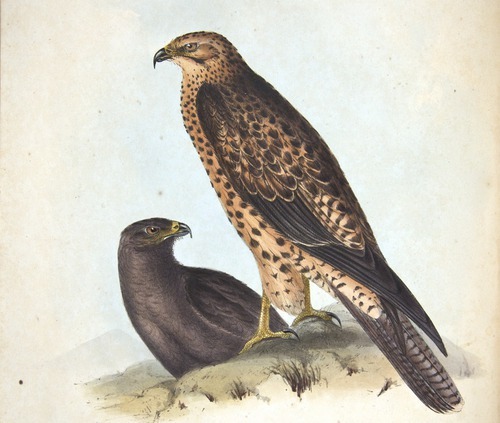 For these specimens, Darwin obtained the help of John Gould, the great English ornithologist and artist. This volume is one of Gould’s most famous works of art. 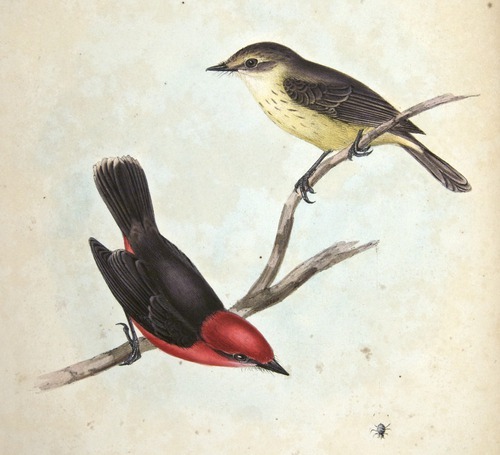 Each lithograph was printed in black and white and then painstakingly hand-colored by John Gould and his wife, Elizabeth. 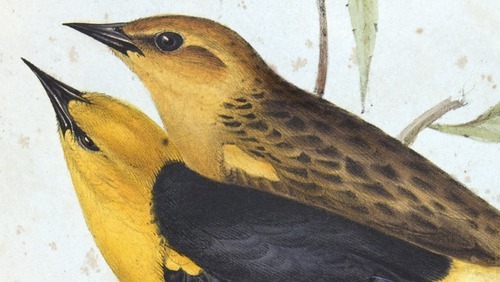 The illustrations capture the immense variation found among species of mockingbirds and finches, and provide glimpses of species’ natural habitats based upon Darwin’s notes. Part 4 is devoted to fish and Part 5 covers reptiles. 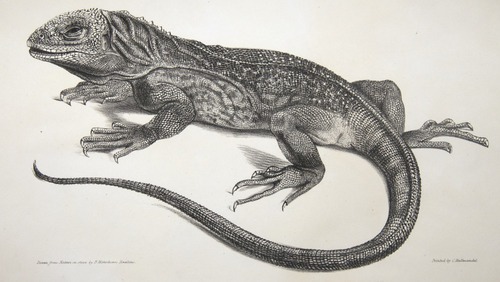 Lizards from the Galapagos Islands are depicted, along with South American frogs and toads. Surprisingly, there is no description of a Galapagos tortoise. 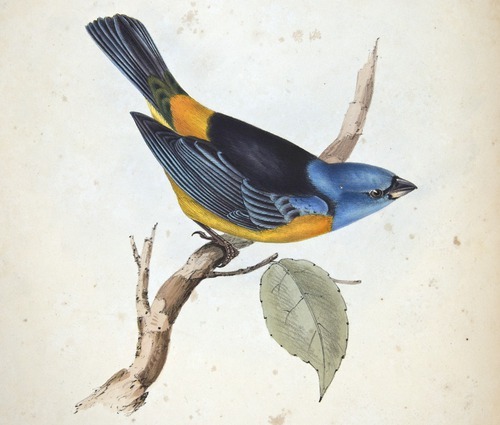 Had Darwin never written another word, he would still be famous as the supervising author of the Zoology, a magnificent work of color natural history illustration. 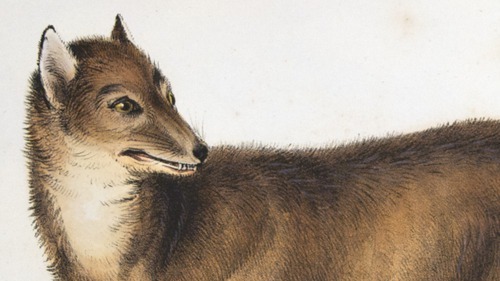 The Zoology brought Darwin to the attention of scientists everywhere as one of Britain’s up-and-coming young naturalists. The voyage of H.M.S. 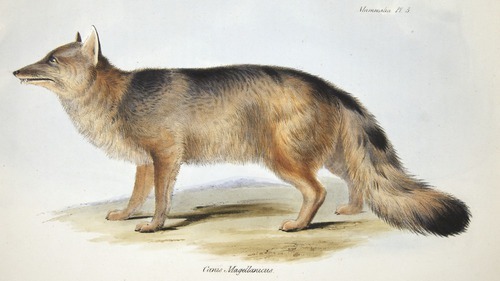 Beagle from December 1831 through October 1836 became one of the most famous expeditions of modern times. Originally planned as a survey of southern South America and some islands in the Pacific, the voyage became a stimulus for the ideas that later crystallized as Charles Darwin’s theory of evolution. On this voyage Darwin collected many specimens of plants, animals and fossils. 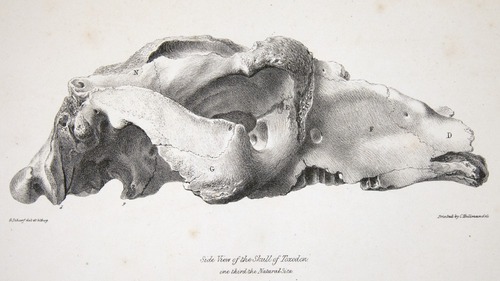 When Darwin returned, he enlisted leading naturalists of the day to describe the specimens. 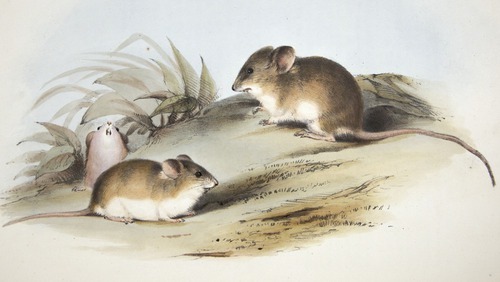 The Zoology of the Voyage of the Beagle was published as a collaborative effort between 1838 and 1843. Contributors included Richard Owen (fossil mammals), George Waterhouse (mammals), John Gould (birds), Leonard Jenyns (fish) and Thomas Bell (reptiles). The quarto work of 632 total pages includes 166 plates, 82 of which were hand colored. 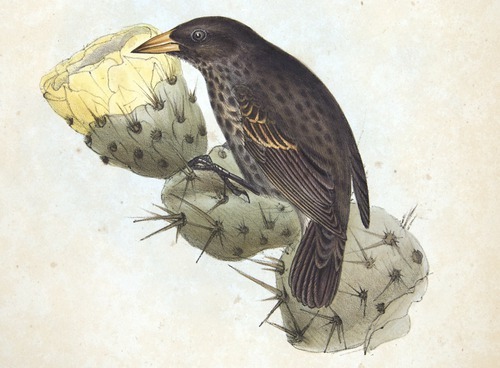 Gould’s illustrations of birds are renowned (he also recognized that Darwin’s finches represented more than one species). Darwin superintended the production of the work, including the plates, and contributed introductions, notes and descriptive comments throughout. Aspects of habitat that appear in the illustrations, such as background depictions of associated plants and insects, reflect Darwin’s close collaboration with his senior contributors. 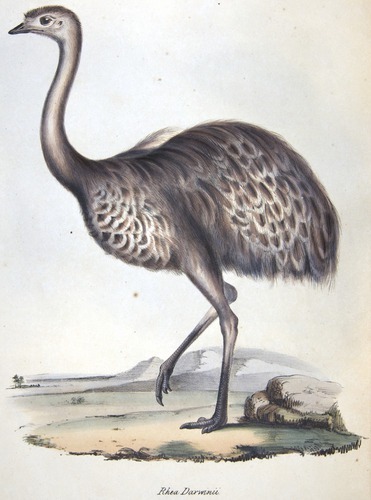 This work introduced Darwin to the British scene, after the Beagle voyage, as an important and upcoming young naturalist. Darwin editions are designated according to Freeman number based upon the bibliographic work of Richard B. Freeman. This work as a whole is designated F8. Each individual Number of the work is designated by a decimal “.#” from F8.1 through F8.19. The OU copy of Darwin’s first and rarest work is exceptional, with minimal foxing, no missing plates, and all errata sheets present. This recent acquisition completed the OU collection of Darwin first editions. These volumes are available in their entirety on the Collections’ image galleries. 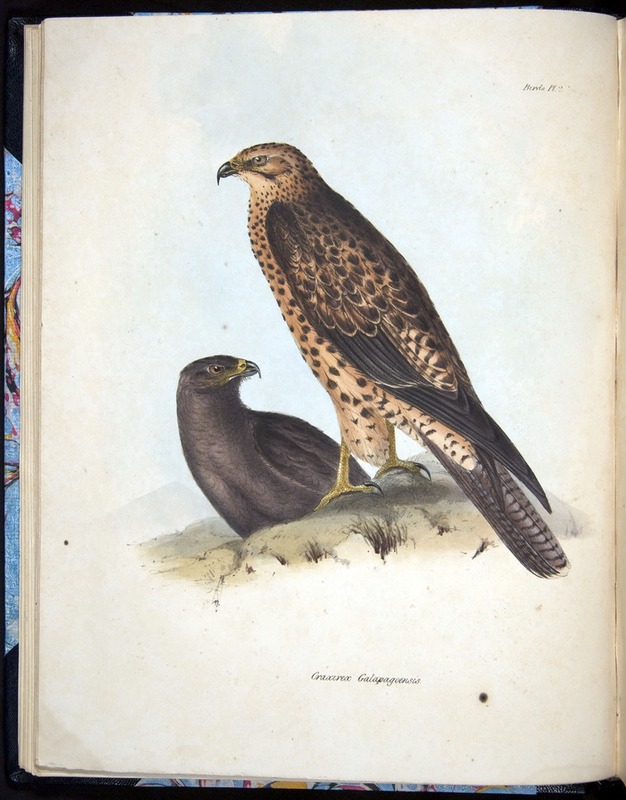 Darwin , Zoology of the Voyage of H.M.S. Beagle, vol. 1 (F8.1), vol. 2 (F8.2), vol. 3 (F8.3) (1838-43).